We'll admit it — when an American news outlet puts out a list of important people in the world, we immediately start looking for the Canadians who are on it. Call it a self-esteem issue, call it Canadian pride, but whatever it is, it never fails to send a shiver of happiness down our spines as we see some of the best and brightest from our country recognized on a world stage. 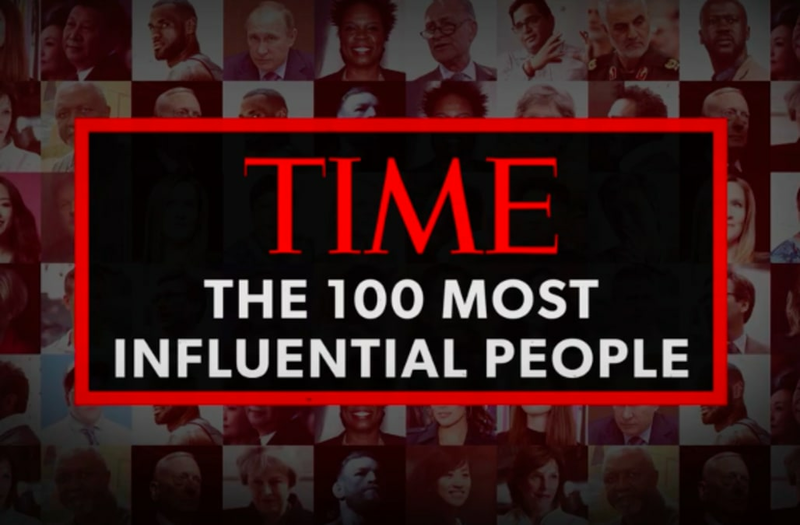 This year, Time magazine's list of the 100 most influential people celebrated three Canadians who made their impact in various ways: Samantha Bee, Margaret Atwood and Ryan Reynolds. Host/Executive Producer Samantha Bee of 'Full Frontal With Samantha Bee' poses in the green room during the TCA Turner Winter Press Tour 2017. According to an editor's note from last year, the list is chosen to represent people "who have lessons to teach .. and the power to make us think." Prime Minister Justin Trudeau is perhaps notable in his absence, though he did make the list last year, and was a close runner-up in the readers' choice poll, which was eventually won by Philippine President Rodrigo Duterte. Canadian-Portugese singer and songwriter Nelly Furtado has confirmed that she and her husband of 8 years Demacio Castellon have split. The 38-year-old singer made an appearance on ITV’s Loose Women on Wednesday, where she spoke about the split. “I went through an emotionally difficult time last summer and I actually wrote and sung myself songs to get through it, I would sing to myself while I drove on these long drives and I thought to myself, ‘I’m so lucky that I can write songs because I can soothe myself with them.’” She added. Most would agree that Dollarama Inc currently takes the crown as being the most successful retailer in the country. And while the market has been firing on all cylinders for the past few years, talk of a slowdown and correction doesn’t seem to be a concern for Dollarama. Dollarama provided the latest quarterly update this week which showed the strength of the company and the opportunity the market still has for Dollarama to expand even further. For the fourth quarter of fiscal 2017, Dollarama reported net earnings of $146.1 million, or $1.23 per diluted common share, representing an impressive increase over the $124.8 million, or $1.00 per diluted common share, in the same quarter last year. Dollarama reported sales of $854.5 million in the quarter — an increase of 11.5% over the same quarter last year. Comparable same-store sales increased by 5.8% for the quarter — over and above the 7.9% growth registered in the previous year. EBITDA grew by 19.1%, coming in at $226.2 million, representing 26.5% of sales. Dollarama also announced a 10% increase to the quarterly dividend, which will now pay $0.11 per common share. Even with the latest increase, the stock is unlikely to be seen as a great income-producing investment, as the yield is far below 1%.